Food on a stick brings me so much joy! I am really excited to share with you all the details of my Keurig House Party Coffee Brunch that I hosted last weekend. And I will reveal all soon! Today though, I wanted to inspire you to consider food on a stick for your next gathering. 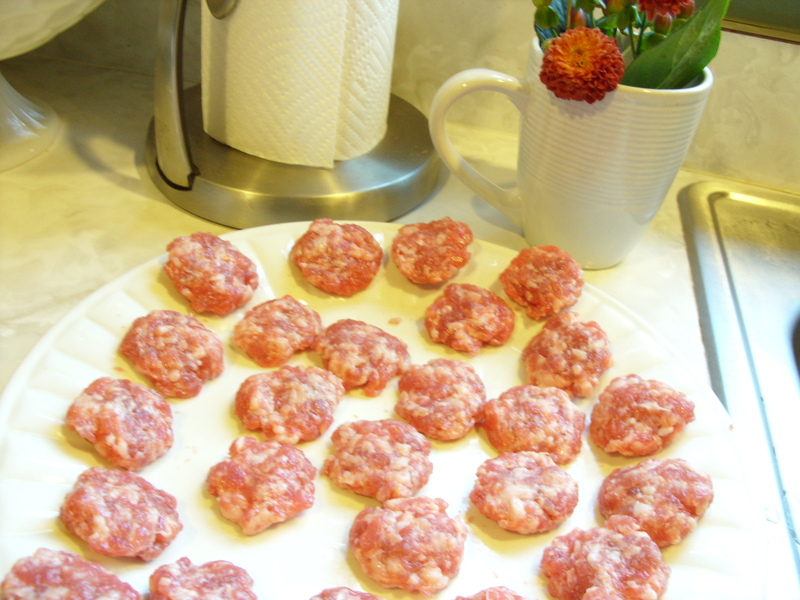 When Allrecipes.com asked me to write a guest post for their #RecipeForHappiness campaign, celebrating their 15th Anniversary, I knew exactly what kind of recipe brings me (and more importantly, my guests) happiness! I just want to shout from the rooftops how thrilled I am have a guest post featured on Allrecipes.com Fresh Bites Blog! Go over to Allrecipes.com and read for yourself my ideas for incorporating food on a stick items into your entertaining. Trust me – people will love it! 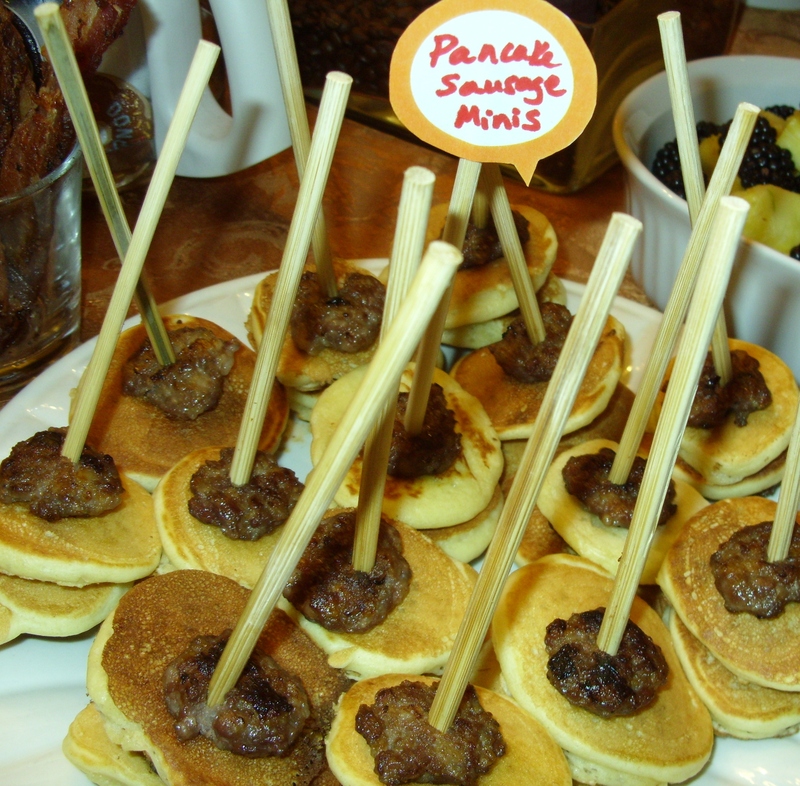 And if that’s not enough “stick food” for you, today I am also sharing my lastest creation – I had so much fun making these Pancake & Sausage Minis on a Stick for my Keurig House Party Coffee Brunch. 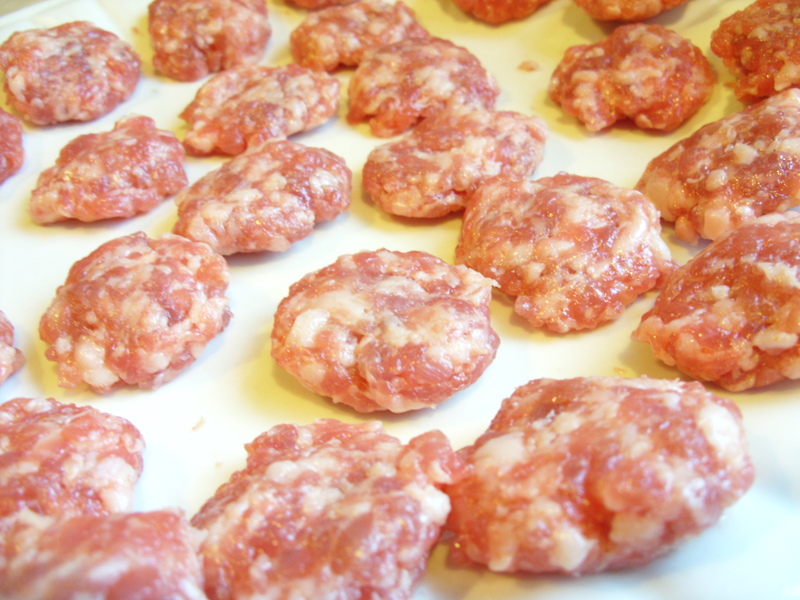 Let me tell you – they were a hit! I grilled the sausage minis on my griddle and then made the smallest buttermilk pancakes I could using my favorite family pancake recipe. It’s always a crowd-pleaser! 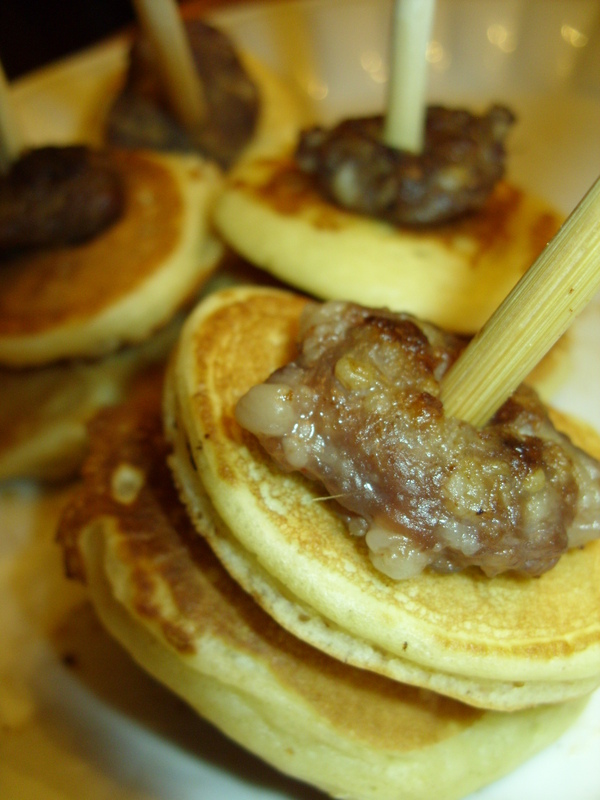 Then I simply layered, onto a skewer, three sausage patties in between two pancakes. I only wish I had made the pancakes first so that I would know just how small I could get them. I would have then formed my sausage patties to match the diameter of the pancakes. But I think they still turned out rather cute. And served up with some real maple syrup and powered sugar on the side for drizzling and dredging, they were the perfect brunch one-bite (or so!) potluck item! What is your go-to brunch potluck item? Do you like to make food on a stick too? What do you like to layer on a skewer or toothpick to jazz it up and make it more fun to eat? I’m Enjoying My Morning Coffee This Week! Coffee seems to be a joyous theme for me lately! Twice in the past week I have sat here in front of my laptop, enjoying my morning coffee, and received notices that my little blog is on the radar of others that I so respect and admire. 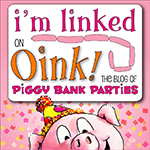 First, it was on Sunday morning that I saw a link back to KristinPotPie from ThriftyNWMom. What was this, I wondered? Sia from Thrifty NW Mom shared what blogs she likes to read with her morning coffee – I was so surprised and honored to see my blog listed there with such greats, and some of my favorites like the Pioneer Woman (read about my meeting her here) and the fantastic craft blog (which also happens to run by a Seattle blogger! ), Make and Takes. Then, yesterday, I saw an update on Facebook that my blog had been chosen in the top three for the Foodportunity Blog Contest – read my entry here where I tell all about my very own Foodportunity. This really blew my mind! Local judges, three popular Seattle bloggers, Linda Miller Nicholson from Salty Seattle, Amy Pennington of Go Go Green Garden and Ronald Holden of Cornichon.org picked my blog for third place! Honestly, (though I think I will be receiving a fantastic cookbook) I don’t really care about the prize as much as just being named at the top by these amazing and talented individuals. It is really such an honor! 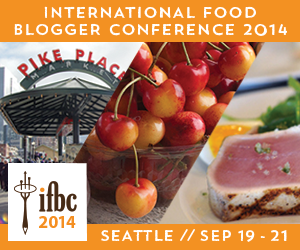 And I couldn’t be happier for my friend and fellow blogger Leslie Seaton of Fresh Picked Seattle who got the top spot! I have been following her success for several years now and am ecstatic that she will have the opportunity to present to the Foodportunity community. You should buy your tickets today for next Monday night’s event and come out to see her in action! All this is happening amidst my preparations for a sweet little party I am preparing for this Saturday morning – a House Party Brunch. You see a few weeks backs I was chosen as a host for a Keurig House Party. I have thrown a few other House Parties – see my Mad Men party and my most recent House Party, for the game, Telestrations. 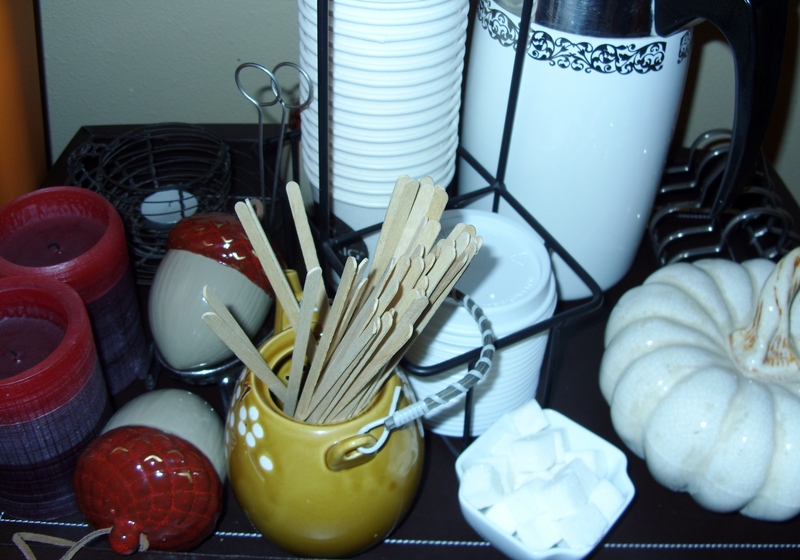 I have been working at planning a menu (and will have a fun new recipe for you) for my coffee party and gathering my supplies – some of my latest finds in thrifting will make an appearance at Saturday’s party. 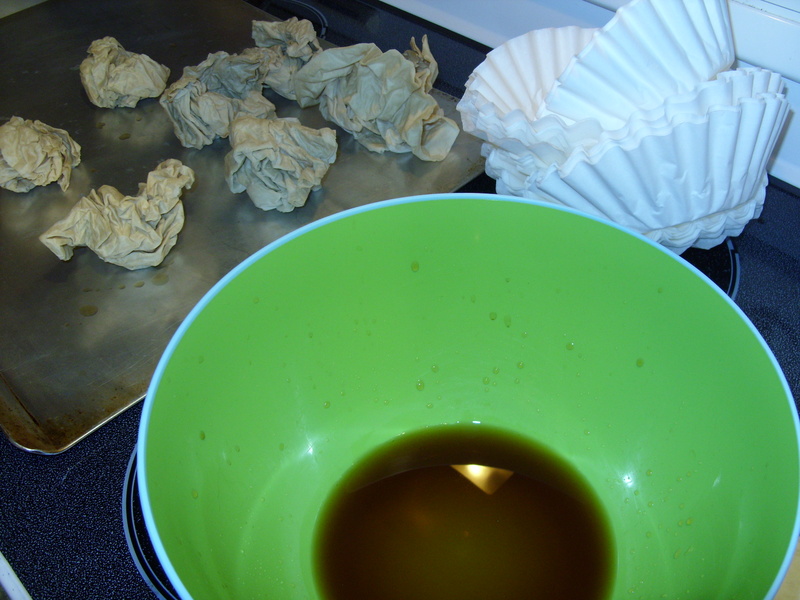 What to do with old coffee pots and filters when you have make the change over to a Keurig? I think those coffee pots are going to make lovely flower vases and the coffee filters…well I am getting crafty with those! Wait till you see!